The Federal Government has reiterated its commitment towards ensuring total eradication of open defecation in Nigeria by 2028. 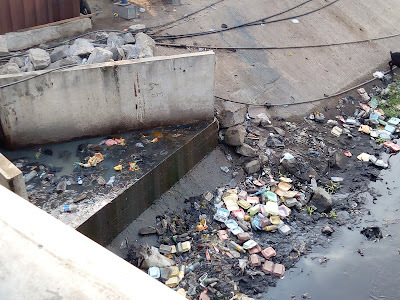 The Minister of water resources, Mr. Suleiman Adamu, while speaking at the 2019 World Water Day celebration organised on Tuesday by Global Citizens, P&G in Abuja, said that the current administration as part of its commitment to hygiene had introduced a set of activities to promote a "open-defecation-free" Nigeria by 2028. He said: "Actions to end the open defecation in Nigeria require the commitment of everyone, and these actions are expected to promote an open-defecation-free Nigeria by 2025." Speaking further, Adamu said that of 774 local government area in Nigeria, only 10 had been so far certified as open defecation free, adding that that presented the need for everyone to be involved in ensuring complete eradication of open defecation in Nigeria. "We have developed several initiatives in our commitment to improving access to safe drinking water and ensuring a healthier living environment for everyone in Nigeria. However, we still have a long way to go as only 10 out of 774 local government has achieved the open defecation free certification." Allison Tummon, Procter and Gamble (P&G) representative said that the world day commemoration is aimed at improving access to clean water and sanitation as it affects the health and economy of the nation at large. "We believe water, sanitation and hygiene (WASH) is beyond drinking water, it has effect on the general health and economy of any nation, usage of unsafe water affects the productivity also." "The problem is huge and we believe everyone can contribute in any little way as possible to make a difference," she added. Betta Edu, Director-General, Cross River State Primary Healthcare Development Agency in her remarks, stressed that access to safe water should be the right of every citizen and should not be seen as a privilege. "We have discovered that having safe water does not only improve our health but also improve our productivity, to this end the government of Cross River state in partnership with other sponsors have provided over 25 boreholes in some local governments." She also stressed that the state government in its bit to be declared the first open defecation-free state has committed a total of $15 million over the next 5 years to ensure proper sanitation in Cross River state. "As part of our commitment to ensuring an open defecation free state, the government of Cross River State over the next 5 years will set aside a total of $15 million to ensure clean water and proper sanitation in the state." Yetunde Adeyanjo, representing the governor of Ondo state, said that the government in its bead to scale up access to clean water and ensure sanitation in the state has committed N1.8 million to rural water supply, and rehabilitation of over 1000 boreholes in the rural areas of the state.